They’re the milestone photos that every parent takes – the first time a big sibling plants a kiss on their new baby sister. 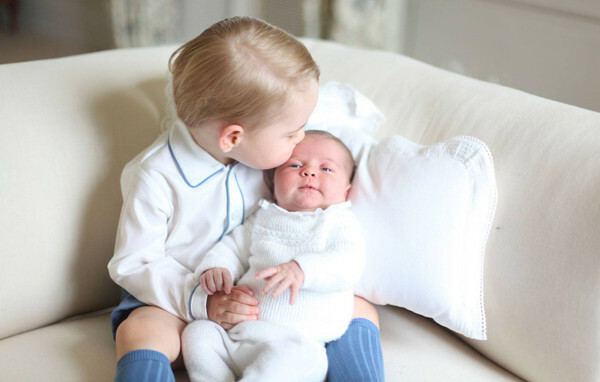 But this time, the sweet sibling photos are being cooed over by millions of people right around the world. 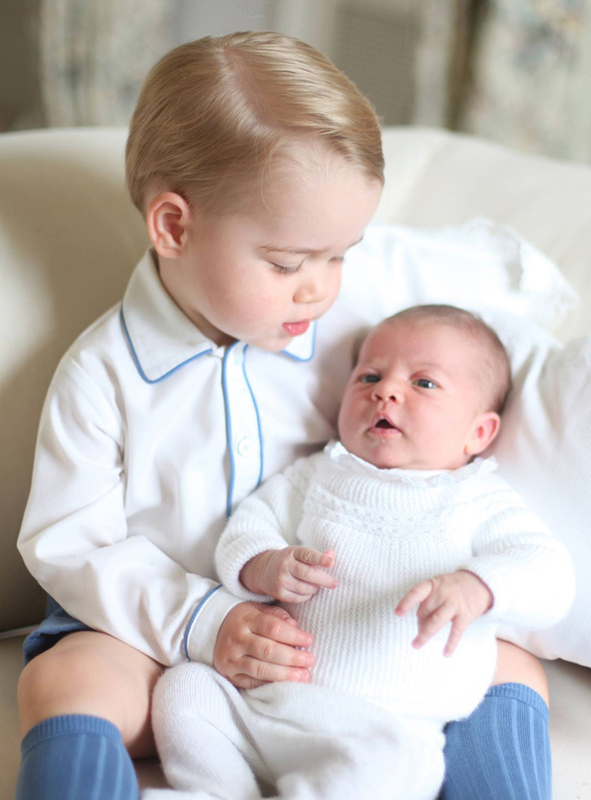 These darling photos of Prince George and his baby sister Princess Charlotte, taken by their mum, were released this morning. Be warned, they will melt your heart. 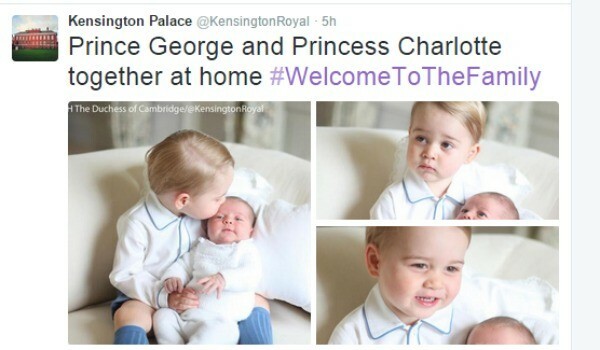 Twitter is aflutter after Kensington Palace posted four new photos of the Prince and Princess, taken by The Duchess of Cambridge. 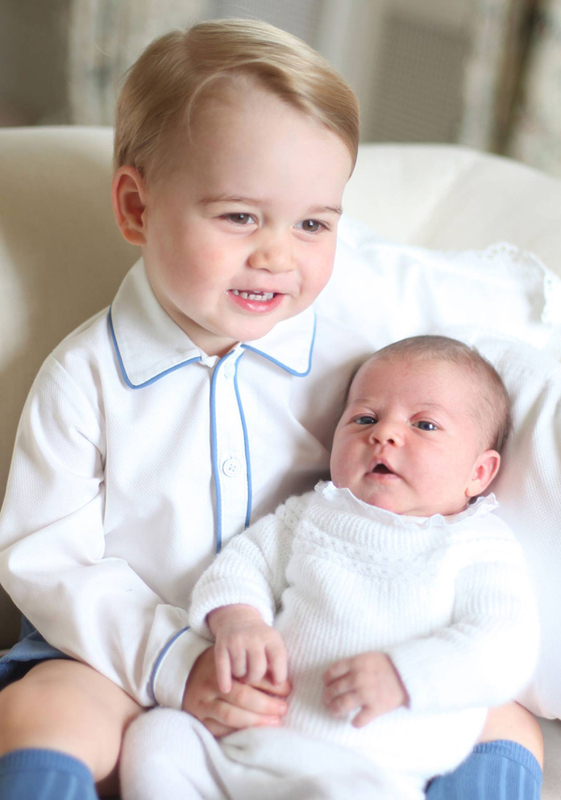 Prince George, who will turn two next month, cradles little sister, Princess Charlotte, who was born 2 May 2015. The photos were taken at Amner Hall, the family’s home in Norfolk. They certainly share a few features in their matching white outfits, light hair and beautiful eyes. 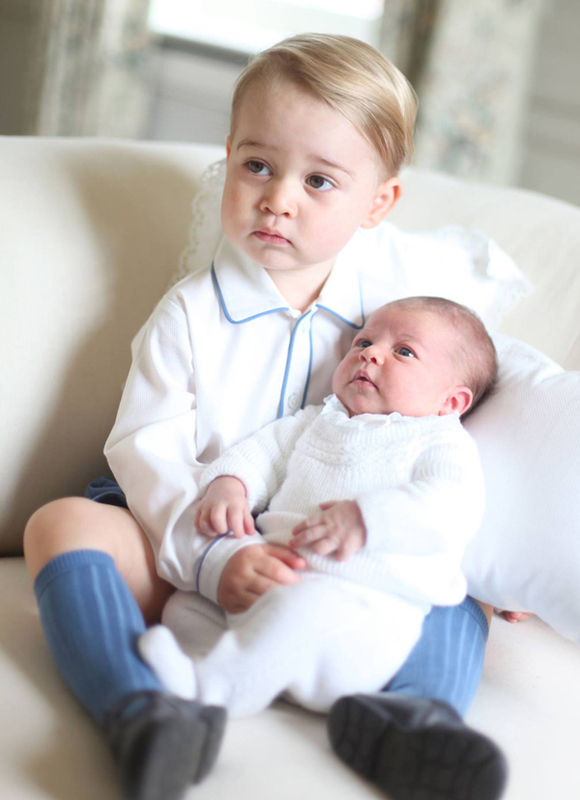 For those of you who might be curious, Prince George’s outfit is by British children’s wear designer Rachel Riley. 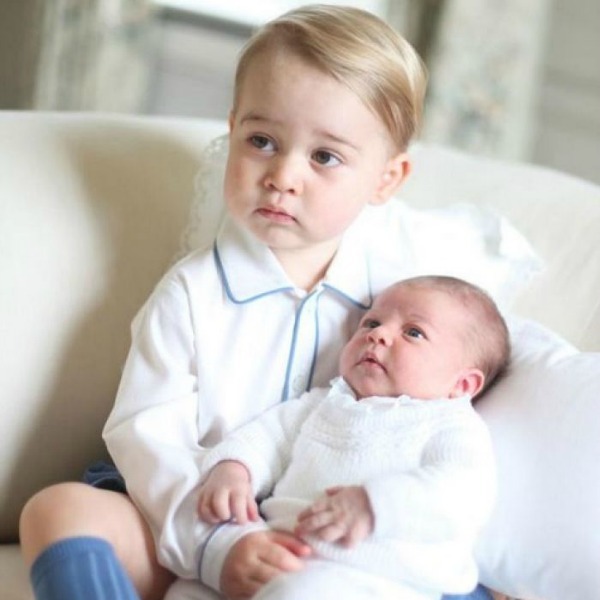 We can’t help but notice that Prince George is already a protective and loving big brother. The official sibling shots came just over a month after Charlotte’s overdue arrival. Charlotte was born only hours after The Duchess of Cambridge, already in labour, arrived at St. Mary’s Hospital. The world got their first sneak peak just 10 hours after she was born. The Princess’ name, Charlotte Elizabeth Diana, was announced two days later and we have been eagerly awaiting more photos of the stunning family ever since. 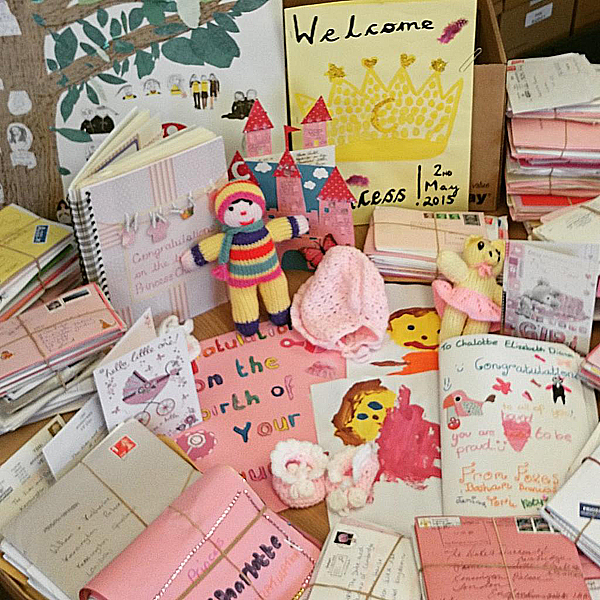 The couple also gave us a peek at some of the sweet handmade cards and gifts and the mountain of mail they received from the adoring public to welcome the little princess. So what’s next for the Royal Princess? We can look forward to Princess Charlotte’s christening on 5 July 2015. It will take place at St Mary Magdalene Church at Sandringham, the same rural English church where Princess Charlotte’s grandmother, the late Diana Princess of Wales, was baptised. Check out what we imagine life is like for the Prince and Princess with our post on all things royal.